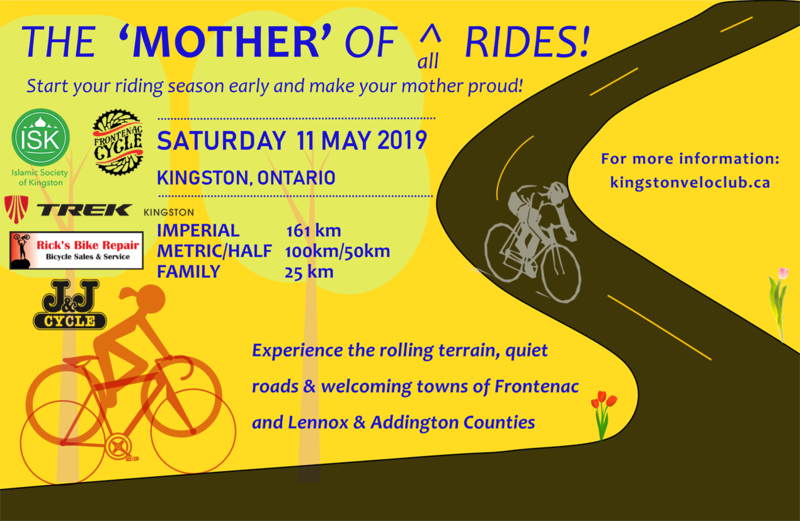 The Kingston Velo Club invites all our fellow cyclists to the Second Annual “Mother Ride”,the first Century ride of the 2019 season in Eastern Ontario! This early season, community based ride is designed to encourage all levels of riders to get out riding as early as possible. 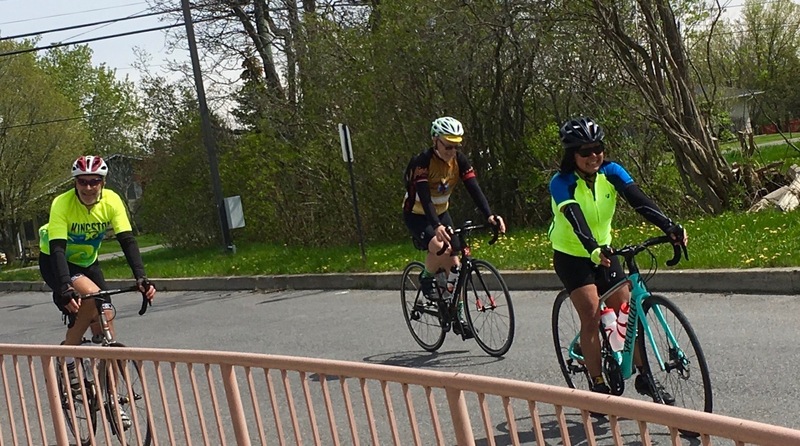 The longer distances provide a great warm up challenge for other upcoming spring events, (such as the Rideau Lakes) and the shorter rides will gather together friends and family for an early season “leg stretcher” through little known routes – a great way to motivate you for an active season of riding in 2019! The routes include both an Imperial and Metric centuries (162 & 100 Kms) a mid distance (50 Kms) and a route designed for newer riders and families (16 Kms). All the rides will start just north of Hwy 401 on Sydenham Road, easily accessed from all directions, with parking and facilities available. The routes head north and west of Kingston - primarily on quiet back roads, passing through the amazing rolling countryside and charming villages of South Frontenac, Lennox and Addington and the Countryside area of Kingston. The routes will be well marked, with rest and refreshment stops and sweeps. To reward your efforts, a well-earned meal of Middle Eastern food (rated the BEST after-ride meal ever by past participants), will be supplied by our Community partner the Kingston Islamic Centre. So sign up now, (Early Bird rates apply) and gather your friends and family to make it a group outing - Also, as a special incentive, TREK CYCLE, one of our great local sponcers, is donating a $20.00 in store credit to every participant !!!! We look forward to seeing all of you out for this Season’s Opener ride –all while you make your “Mother “proud of your efforts! 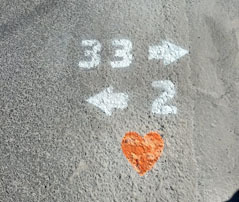 RULES: Routes will be marked and available for upload prior to the Ride. Maps will be available at the Registration table. Cyclists are advised to carry extra water bottles and a spare tube and tools for flats. Helmets required. No helmets – no ride. This event is a ride, not a race. Ride safely, be courteous, and obey all traffic laws and Rules of the road. Participants under 18 must ride with an adult rider.